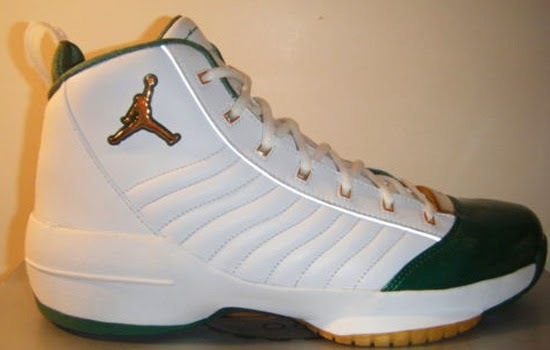 A rare pair of original Air Jordan XIX SE's made for "The Glove". Check out the auction here. 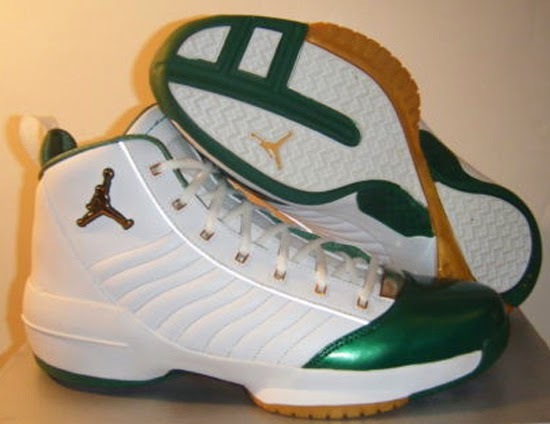 This Air Jordan XIX SE comes in a white, green and gold colorway. A "Home" edition, they were made for Gary Payton to wear while playing at home for the Boston Celtics throughout the 2004-'05 NBA season. 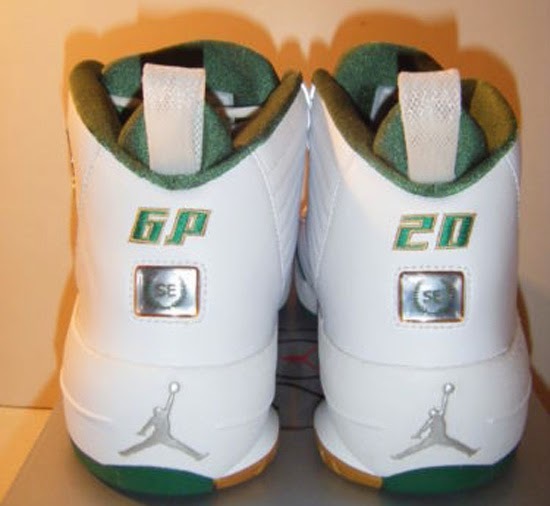 Payton's initials, "GP" as well as his jersey number, "20" are found stitched on the back heel. As these are player exclusives, they were never sole in stores or available to the public. Enjoy the images below of this Gary Payton Boston Celtics "Home" Air Jordan XIX SE player exclusive in white, clover and metallic gold. If you can fit a size 13 or would like to add these to your collection, you can grab them from eBay here.